This second edition to a popular first provides a comprehensive, fully updated treatment of advanced conventional power generation and cogeneration plants, as well as alternative energy technologies. 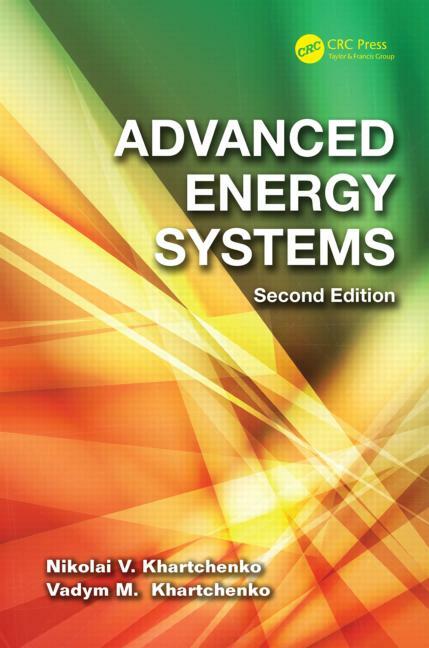 Organized into two parts: Conventional Power Generation Technology and Renewable and Emerging Clean Energy Systems, the book covers the fundamentals, analysis, design, and practical aspects of advanced energy systems, thus supplying a strong theoretical background for highly efficient energy conversion. Containing over 50 solved examples, plus problem sets, full figures, appendices, references, and property data, this practical guide to modern energy technologies serves energy engineering students and professionals alike in design calculations of energy systems. Nikolai V. Khartchenko received his BS/MS from Moscow Power Engineering Institute, Russia and Ph.D from the National Academy of Sciences of Ukraine, Kiev. He served as energy expert and consultant for the Chamber of Commerce and Industry of Berlin, Germany; Siemens, Berlin, Germany; and the Ministry of Power of the Russian Federation, Moscow; as well as in the private sector. He also worked for the Institute for Energy Engineering of the Technical University (TU), Berlin, Germany and Sri Ramaswamy Memorial University, Chennai, India. He holds six patents and participates in EuroSola, IRENA, DGS, VDI, Russian Engineering Society, and Alumni International of the TU Berlin. "The chapters on combined cycles and cogeneration should be very useful for engineering students interested in power generation. These technologies will be very important in the near future as industrial nations work to make fossil fuel systems more environmentally acceptable, while also working to develop renewable and sustainable energy systems." "A good, comprehensive overview of the field, especially for students with a mechanical engineering background. Appropriate for seniors and first-year graduate students." "…Provides insight into a key area needed for the future development and implementation of intermittent renewable sources such as solar and wind energy. …I would certainly use this text as a reference…"